On Saturday November 5th I decided to forego the networking breakfast so I could sleep in a bit and take my time. Taking the Metro Rail to the Convention Center, I arrived shortly after the Expo Hall doors opened at 10 AM. As I neared the venue I noticed a throng entering the hall opposite where I was going. Since many of these folks were in costumes I had to investigate. The Comicaze Expo--the L.A. version of the Comicon show--was taking place and drawing a considerable crowd of comics fans. In fact in the huge Convention center there was also an event featuring Tony Robbins the self-help and motivational guru and the West Coast Franchise Expo, which looked pretty interesting. It was a busy week-end for sure, but I was on my mission to finish visiting the BlogWorld booths that I had missed the previous day. My first stop once again was the Blogger booth. 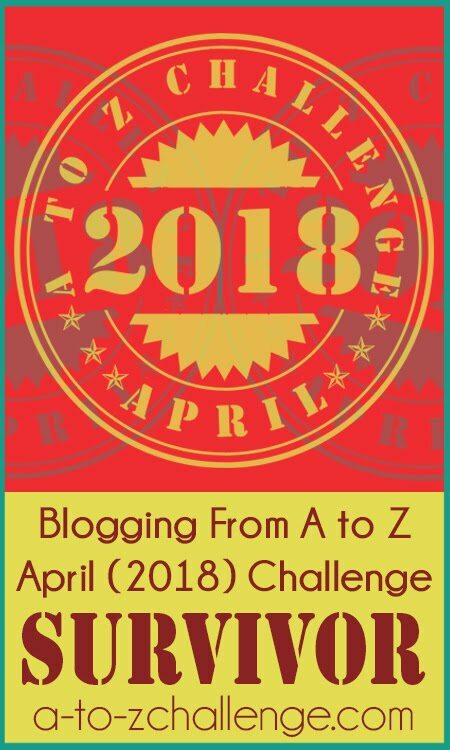 I had a few more questions and wanted to see what kind of promo we could get for the Blogging from A to Z Challenge. Blogger support rep Lisa Ding said she thought they could probably give us a plug or two in the Blogger blog in the months before the 2012 A to Z event. Then Lisa kindly posed for a photo with me. Next I visited the booth for the Yahoo! Contributor Network where I was told about their program for accepting content for their website--something I will want to explore further. Before leaving their booth I was showered with some wonderful parting gifts including a purple Yahoo! t-shirt and tote bag, as well as a thick hardbound copy of the Yahoo! Style Guide, which is a resource book that should prove highly useful in the future. Then I began stepping things up lest the day get away from me and I miss visiting all the booths I wanted to stop by. I saw some fabulous video and computer equipment that I certainly can't afford now, but would love to own one day. I picked up brochures for my daughter and a musician friend of mine who are both interested in video technology. I made sure to get a card from Anthony Adams from Izea.com, a company that I will be contacting later to get more information. It was at the Izea.com booth that I spoke briefly with Roland, the owner of CouponProBlog.com, and realized he was the guy that I'd asked to take my picture at the Blogger booth. If you're into coupons and bargains you might want to check out Roland's blog. At midday my cell phone rang. It was blogger and author Beverly Diehl--the winner of the BlogWorld pass that I had given away on my blog. 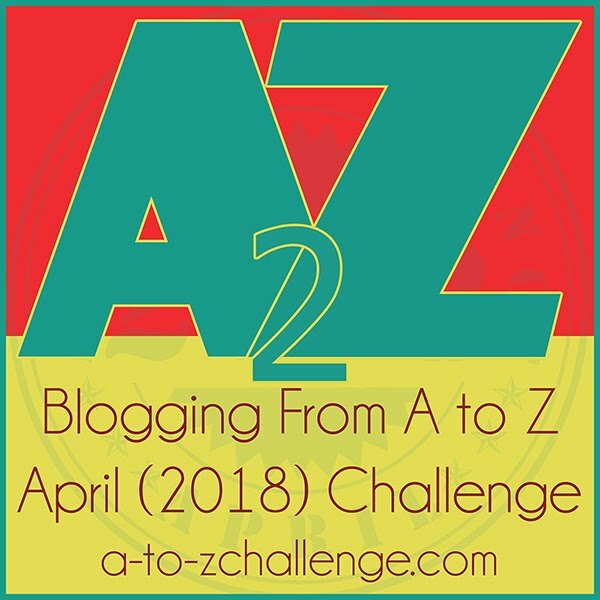 We met in the lounge meeting area in Expo Hall entrance and had a very nice chat about blogging, writing, and the A to Z Challenge. Watch for Beverly's report about BlogWorld this Thursday on her blog Writing in Flow. It was great meeting Beverly--such a delightful young lady. 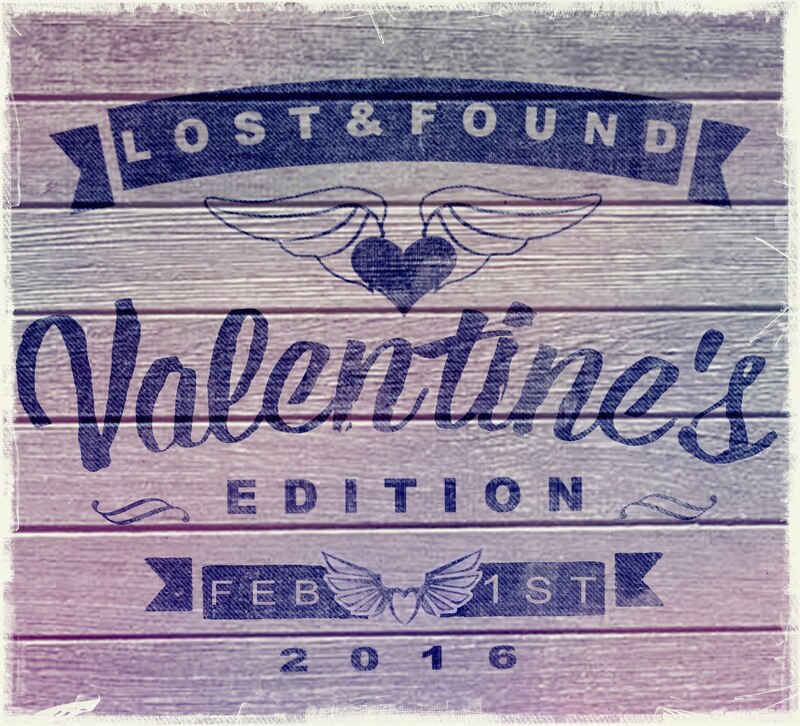 Time was running out and we both had some stops to make at the booths we hadn't visited yet. We parted ways and I made some last visits to a few booths that I had not had been to yet. Frankly I was still tired from my full Friday at Expo and even though my Saturday had been much shorter I was ready to go by two o'clock. I had been to the booths that I had wanted to see and the Expo floor would be closing at 3:30. I did not see much point in hanging around until 5 PM for the closing program. It was time for the train home. I hope I've given you a good overview of things at a BlogWorld Expo event. There's way too much to be contained in two relatively short blog posts. And this is only what I saw from the Expo floor. Added to this were three days worth of speakers and seminars and three nights worth of parties. Anyone who was attending BlogWorld and staying in a nearby hotel had to have had a blast. Should you attend one of the BlogWorld events? If you are serious about blogging and social media then it's a big yes. Even if you are just a blogger hobbyist this event is truly eye opening and might change the way you blog. I'd love to attend next year for the full BlogWorld experience. It's a bit of a pricey undertaking, but if you can afford it you might want to consider attending one of the Expos. Next year the events will be in New York City in June and will be returning to Los Angeles in the Fall. Check the BlogWorld website for complete details. Any questions about BlogWorld? Ask away and I'll try to answer. Did anyone else reading this attend either BlogWorld event? If so, what were your thoughts? Good grief, I had no idea that blogging has become so serious - an entire convention - wow. Sounds like it was a lot of fun to me Lee, great post as usual buddy, I'd love to attend one of these bad boys in the future but I guess it would need to be in America! I didn't know about BlogWorld. Sounds like an amazing experience. I've heard of BlogHer. I attended their annual conference this year. 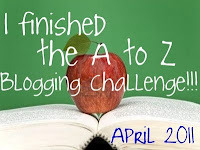 It opened my eye to the world of blogging. I liked the writer workshops, but I had a hard time finding people who had blogs like mine. I bet you're more gregarious than me! Blogging seems to be serious business now. Looks like you had a good time and loved your photo. A little bit too far for me to attend. When I read about this convention and the deadly seriousness of people who are blogging to flog their creations or their causes I wonder what in the world I am doing blogging. I hope there remains a space for those of us who just want to express themselves and have some contact with others. Sounds like such an amazing event. 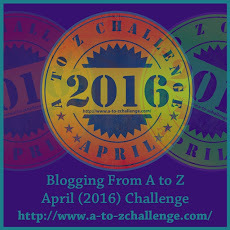 That is so awesome that Blogger might do a plug for the A to Z challenge. Was Wordpress there? 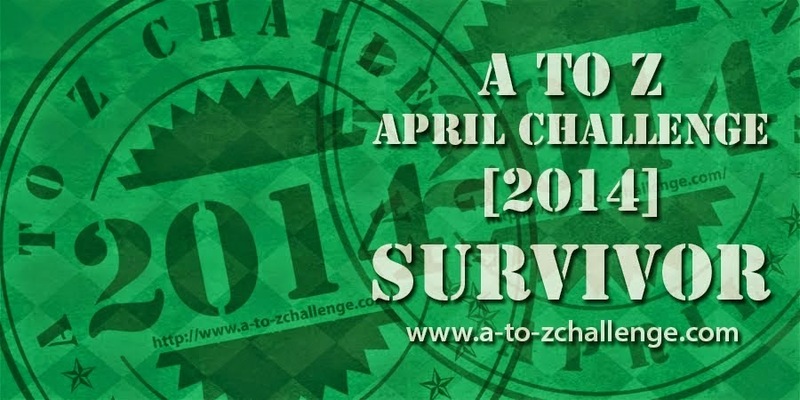 So the next AZ Challenge is going to be even bigger? I thought the last one couldn't be beat, but aparently you're out to top yourself. Wonder if they will have one on the East Coast? And that would be awesome to get some promo from Blogger. Ten thousand participants next year, Lee? I didn't even know there *was* such an event! How exciting though. I wouldn't mind visiting the Blogger booth and saying thank you! Elisabeth -- There are apparently a lot of pro bloggers and social media experts out there. The future is now. Matthew -- There may be some blogging events in the UK. You have to keep your eyes and ears open. Theresa -- I have to force myself to be gregarious. I didn't talk to many folks who had blogs like ours because it seemed like most of the bloggers I met were pros who were into making big bucks. Yvonne -- There were people from all over the world in attendance. BlogWorld is apparently the big must-attend blogging event. Delores -- I think there will always be a place for all kinds of bloggers. Ciara -- WordPress had a very busy booth. I finally talked to them on Saturday. The photos I took there came out blurry for some reason. 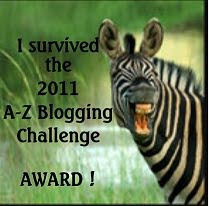 Mood -- I think 2012 A to Z will grow on its own judging from last year's response. Jules -- Hopefully things will turn around for you and me both so we might be able to attend both BlogWorld events. Alex -- See my last paragraph: BlogWorld also has a New York City version that is held in tandem with Book Expo America. All the more reason for a published author to attend. 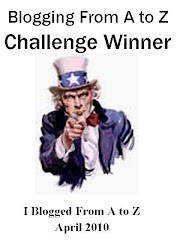 We'll see where A to Z goes in 2012. Deniz -- I wish I could have had more time to spend with the folks in the Blogger booth to get educated. Dezmond -- We'll have to think of something to sell or promote. Booth space was something like $2800 I believe plus costs associated with the display, transportation, and hotel. I'd love to have a booth there if I had a good reason to be there. Jemi -- I'd like to go to this event every year. Elisabeth -- And this was just mostly pro bloggers. Can you imagine if all the blogger hobbyists and those who blog for platform went to this? It would be massive. I'm one of the people who had no idea that blogging was so serious...what is a 'pro-blogger'? ...I wouldn't mind going to New York in June, but I'm across the continent from there..LA is closer..I probably won't be going to either of those places that soon, but it does sound interesting! Eve--When I say pro-blogger I'm referring to a blogger who does it for money. They are striving to make a living or supplement their regular income. They are interested in ways to drive big traffic numbers to their blog and make a name and gain a reputation as a blogger as opposed to someone using a blog to enhance their platform or to blog as a hobby. I'd like to make pro-blogger status so I can make money doing something I really like to do and because I need a job. Pro or not it's an interesting and educational experience for anyone interested in the topic. It's really interesting! I didn't think it was possible to make money blogging...who pays you? 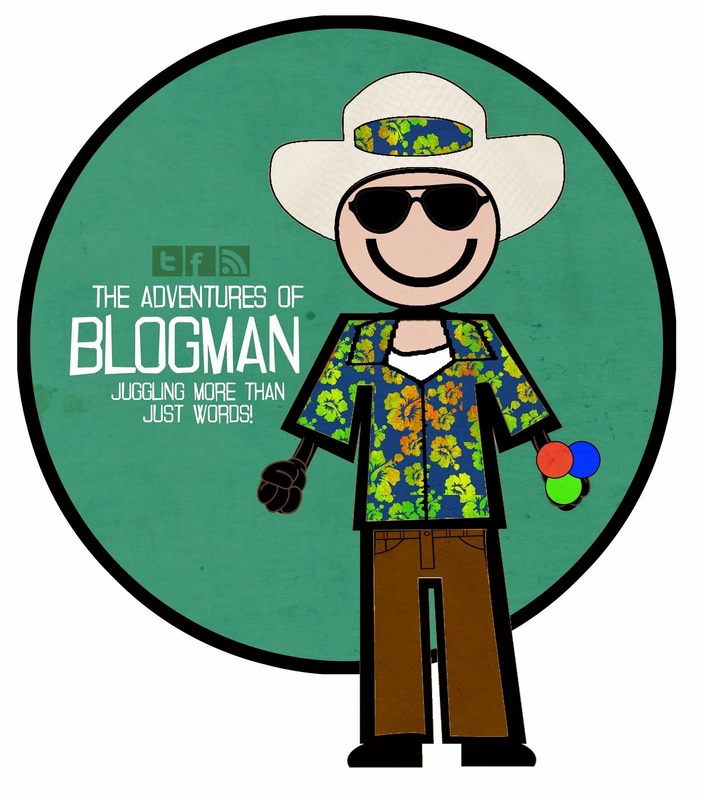 I wouldn't mind finding out more about it...how do you make pro-blogger status? So, you're talking about something that is not just putting advertising on your blog, but being paid for the blog itself? That sounds cool. In the end it comes down to advertising that is sold directly to sponsors or big time affiliate programs that must be actively and vigorously promoted by the blogger. It comes down to a lot of work. It can also be where you are paid by a company or an entity to blog for them. For example, I talked with a young man who manages a blog for an Australian fitness guru who is going to have her own television show ala "Biggest Loser". He said he just ghostwrites under her name and writes content related to what she does on her website. The creative approach to finding someone to pay you to blog includes other methods that I'm not including here. It comes down to whether or not you want the constraints of blogging on someone else's topic all the time and writing what comes down to copy writing. Some of the exhibitors at BlogWorld were specifically in the business of matching blog content of a blogger to advertisers. 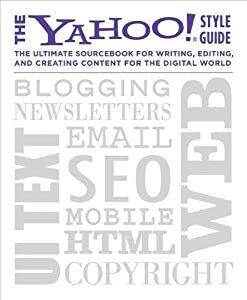 In other words, if you had a blogging niche (like, for example, foods or nutrition, child-rearing, diabetes, interior design, or anything on a regular topic that might lure advertisers) certain agencies like those at the event would analyze your content and find advertisers to buy ad space on your blog. The question is do you want advertising on your blog? And do you want your content to be under the scrutiny and control of an outside entity? If I were being paid well I wouldn't mind so long as I was able to write my own stuff too. Pro blogger status primarily means are you paid to blog. It's a job that you have to create for yourself, approach someone to talk them into creating the position for you, or apply to if it is an advertised position. Amie-- The Expo and Conference has a lot for those who are willing to take advantage of what it there. Sure there's a lot of blowhard meeting and greeting, but like any situation like that I guess you have to be selective and filter out what is useful and what is not. If you're going to be in the states in 2012 or want to find an excuse to come then you should watch for the announcements from BlogWorld. The New York conference is held in conjunction with the Book Expo America event in June so it's a double whammy reason to attend that one. Thanks for all the info Lee! 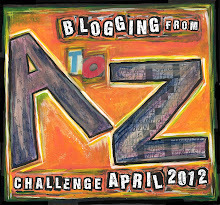 I don't know if it's for me...I do love writing...when I was reading your reply I was thinking of Perez Hilton, who I believe started out as an entertainment blogger and ended up getting gigs as a commentor on tabloid tv...don't see much of him anymore..I am looking forward to the A-Z Challenge again in April! I am going to try to spend more time planning for that this time. 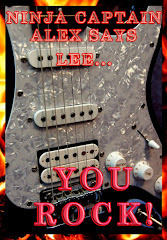 Last year I just sort of horned my way in and made stuff up as I went along..thanks for everything Lee! ah, we've just had the biggest Balkan's book fair in Belgrade, and the booth space was I think the similar price, which kinda shocks me :) But we also had about 150,000 visitors so it pays off. I had eight new books and about ten old ones being sold at the fair. I didn't know there was such a thing as Blog Expo. I'm so glad you got to attend; and brought back such interesting info. Looks like something that would take a few visits to entirely experience it all. 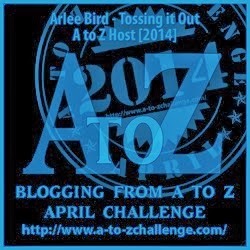 And how awesome you got to plug A - Z with Blogger personnel. I get a newsletter from them in my e-mail; I'll be looking for your excerpt. Hmm, its Thursday still for me; I think I'll check out Beverly's post . . I'm sure it is an eye-opening experience! Sounds like you had a very fun and productive time. I have some nasty things to say about the Yahoo contributor network, but I'll keep them to myself. Hi Lee, I did a link back to your posts. I thought you did an excellent job of hitting the high lights of the event. H & W -- Even a hobbyist can get some great info from a pro conference. 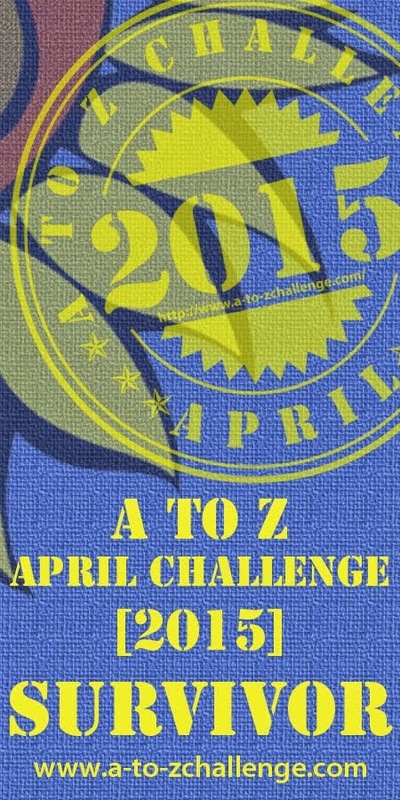 Eve -- Planning for A to Z is great, but improv can be fun and exciting. Dezmond -- That book fair sounds like a sizable event. 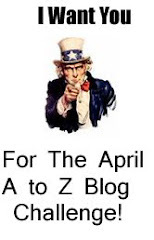 Donna -- I'm hoping Blogger will give A to Z a boost in the early months of next year. They didn't make any promises though. Susan -- Great time, but more things than I can remember. Kelly -- If we should know something maybe you should tell us. I'm not sure what I would consider contributing to them myself and online enterprises can always raise questions. Stephen -- Thank you so much. Appreciate the support. Oh wow, that's cool! I didn't know that was a thing. Maybe one of these days I can go. Wow, how lucky you are to have been able to attend one of these conferences. I've always wanted to, and one of these days I just might get the opportunity to do so. Glad to read this account; sounds like you had lots of fun. Sounds like you're one serious blogger. Thanks for the visit. Hi Lee .. fascinating to read .. did Blogger put on a Getting Started presentation (repeated every half hour or so) .. that would have been interesting - and perhaps an advanced one too ..